Hop Cottage is in Goodall Place, at the start to Little Kaiteriteri. 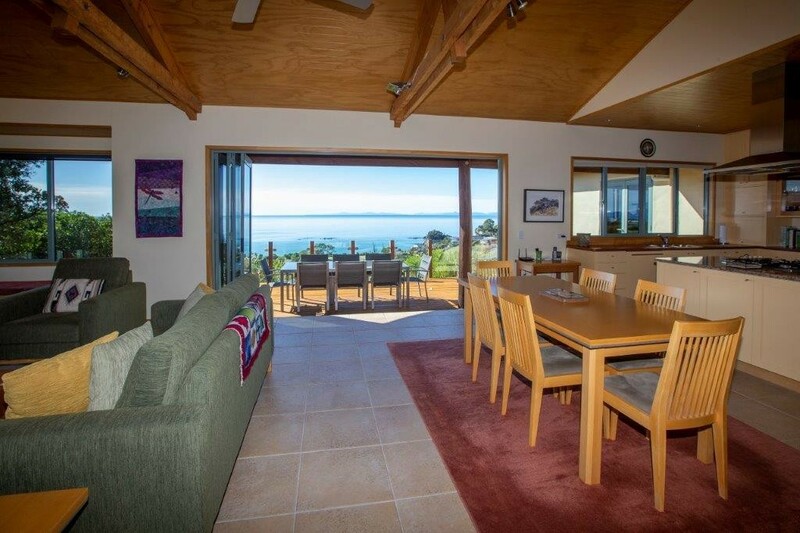 It has a great view of Little Kaiteriteri and over to Nelson. The home lies nicely to the sun and has a garden and lawn area in the front. 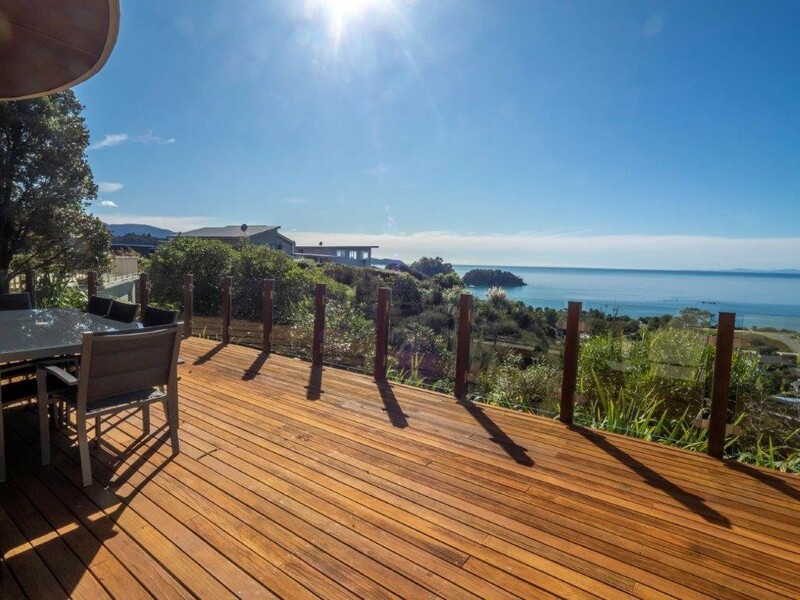 Just 3 minutes to the Little Kaiteriteri Beach and about 6 minutes to the main Kaiteriteri beach. Many people prefer Little Kaiteriteri Beach, as it is a little more peaceful over the height of summer. Three bedrooms. One with queen size bed, one with double and the third with two singles. 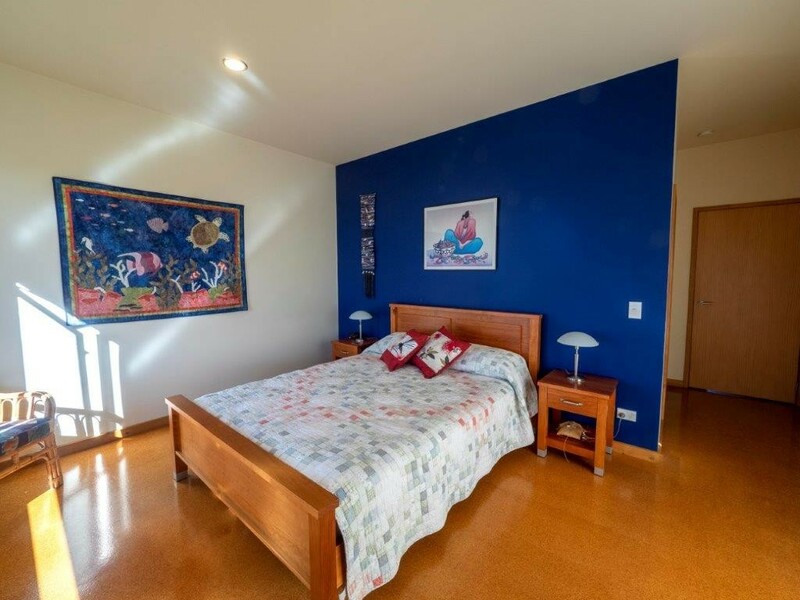 The bedrooms, one with ensuite are on the level as you enter the home. 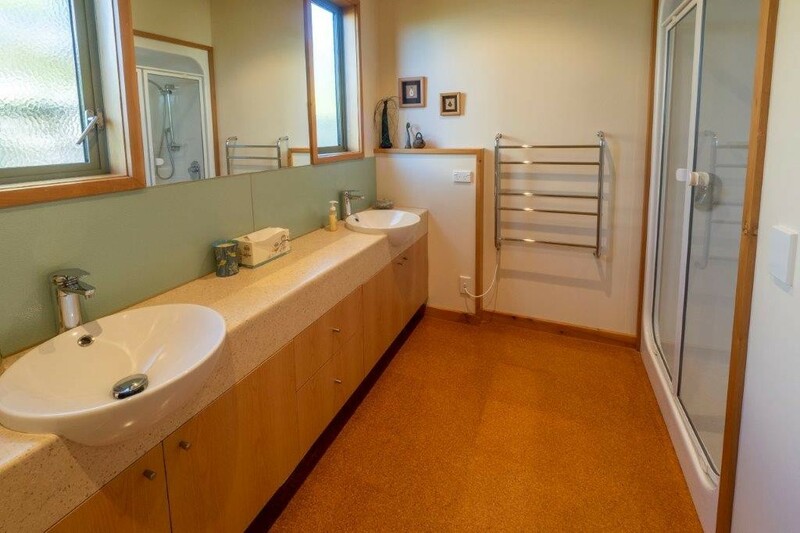 Here also is the second bathroom with shower, bath and toilet. From the entrance foyer the stairs go up to the open plan living area where there is a well appointed kitchen with stove and fridge/freezer. The lounge/dining area has doors on two walls that open out on to a great deck and at the northern end is just the place to dine or sit and enjoy the quiet and the view. There is a small TV and a music centre. A BBQ is provided for your use. 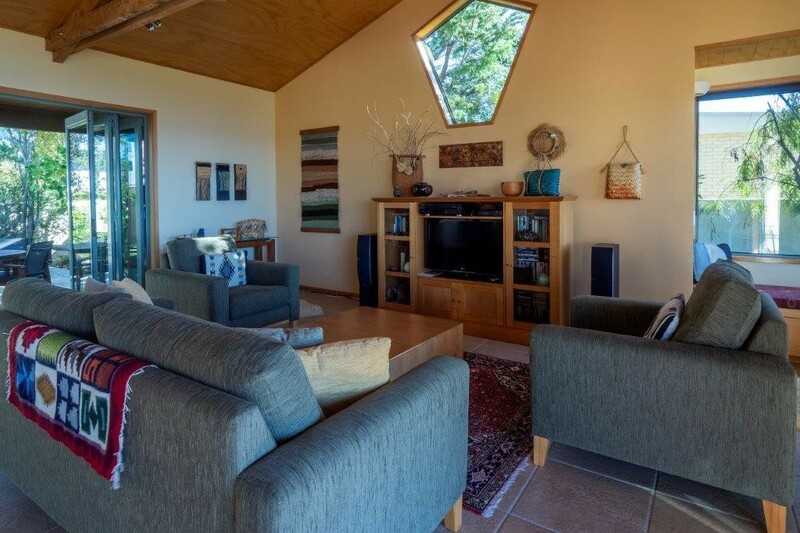 Designed by one of Nelson�s leading architects, Hop Cottage has been influenced by the picturesque hop kilns that abound in the Nelson region. The soaring ceiling in the upstairs area floods the space with natural light while the locally crafted dining furniture and woodburner add great character. 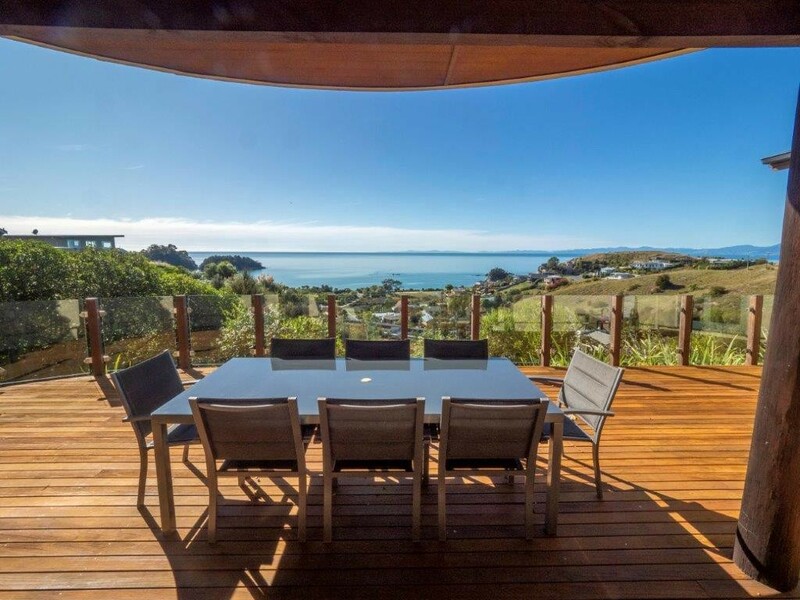 Views from the open-plan lounge/kitchen/dining area take in Kaiteriteri Bay with an uninterrupted vista to Torlesse Rocks and the Nelson hills. 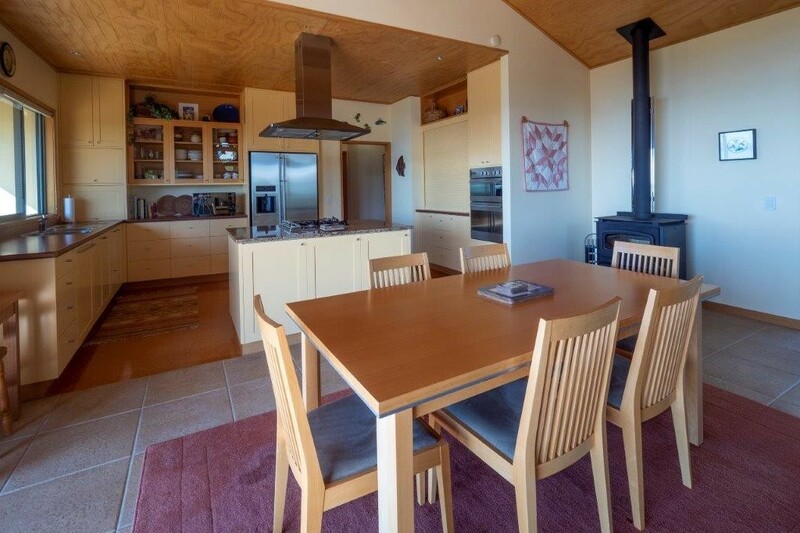 The cottage boasts exciting features such as a kitchen bench which extends into a Maori canoe with carved sternpost. It�s a stylish, exciting space featuring heaps of original paintings and sculptures. 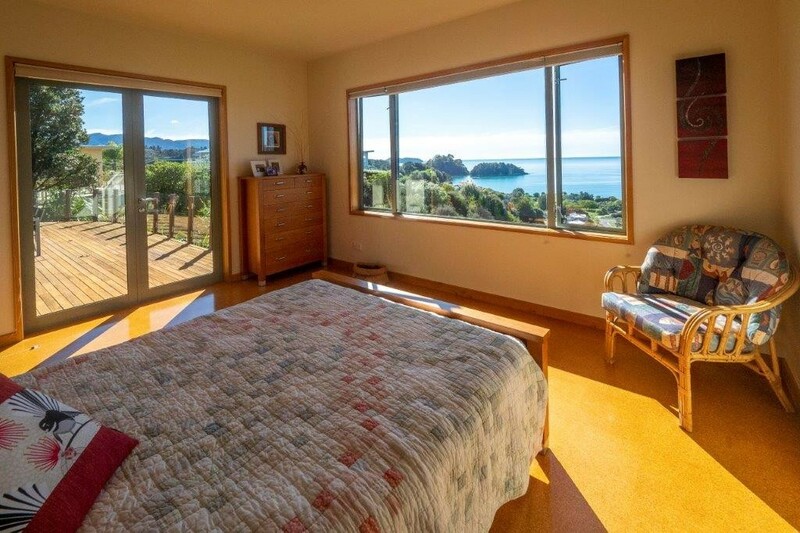 There are three bedrooms; one queen including en suite, one double, and one twin - all with sea views. 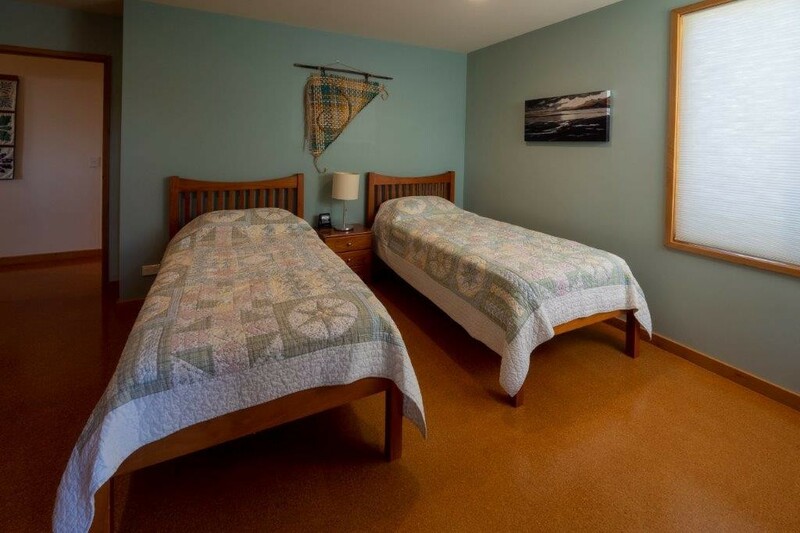 It has a lovely family bathroom - and there�s a full size �table tennis� table in the garage. Mountain bikes and kayaks are also available together with a small, yellow dinghy for use in the bay. 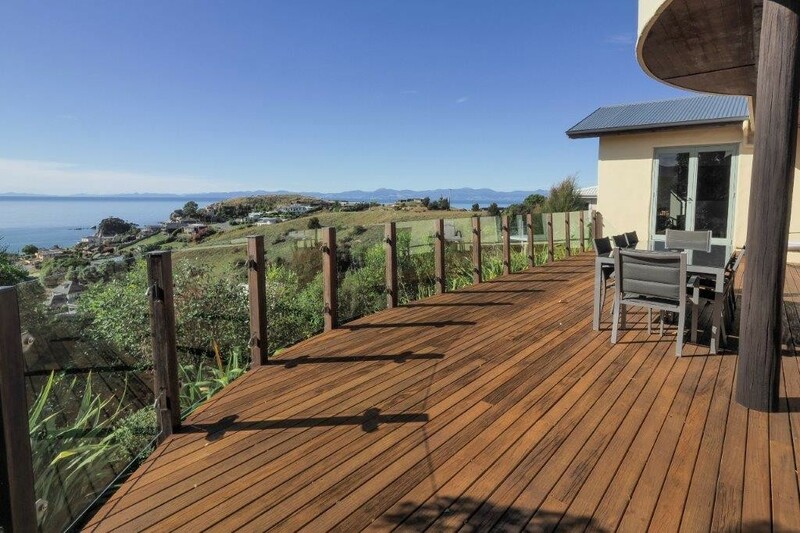 A large lawned garden presents the ideal setting for games and there are several deck areas for dining or relaxing with a glass of chilled Nelson white wine or locally brewed beer. 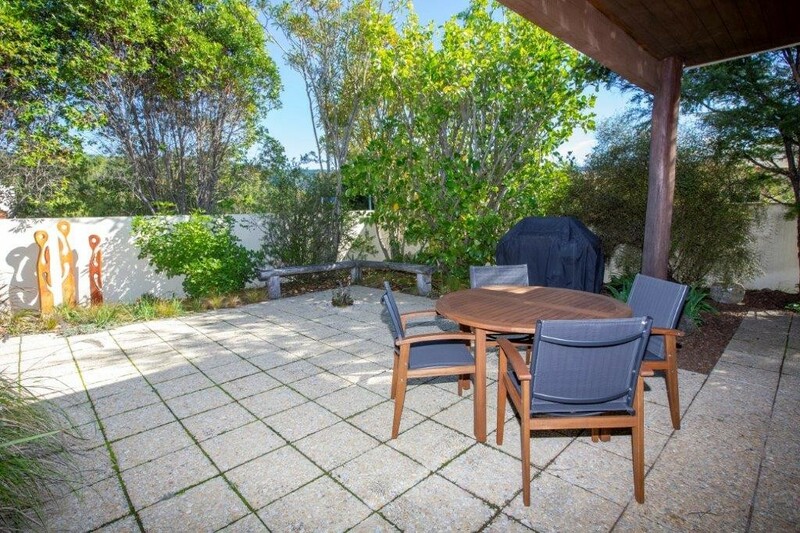 Just a short stroll from the beach - one minute down the road, one minute through a leafy reserve - and you�re there! 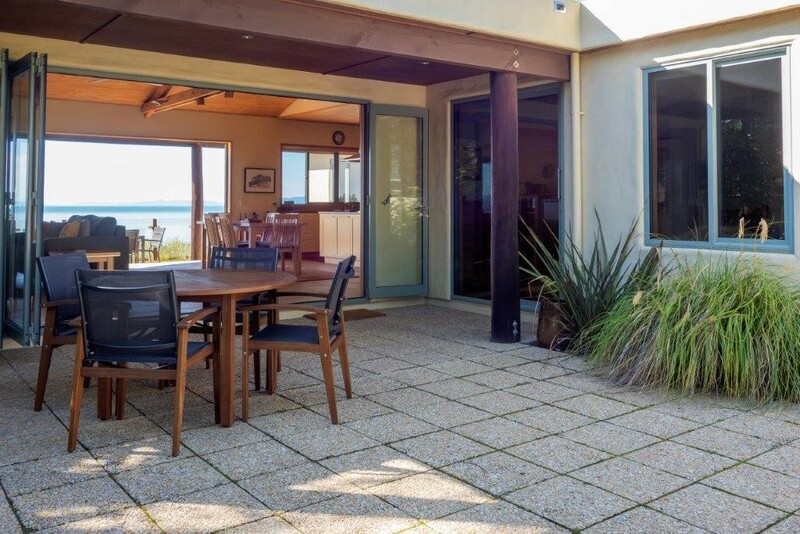 Book Hop Cottage now - whatever the season you�ll fall in love with this very special piece of paradise.